And I will tell you that Scott is a just very nice guy to be around! I think Starbucks is so lucky to have him. I actually dropped by this store on the Monday before the launch so I could be the first to see his new art, and it wasn’t done yet. He was in the back working on it. Apparently this Casi Cielo sign was something he just threw together quickly. I asked Scott a few questions about his Starbucks career and learned that he’s been a partner for quite a while. He started his Starbucks career in San Antonio, and then in 2006 moved to Seattle. He’s now a shift supervisor. He took a break from the company during some of 2011, and then returned to Starbucks, working himself back to a shift. He’s been at the Seattle Municipal Tower store for a little over two years. His favorite core coffee is Verona, and his favorite seasonal coffee is Casi Cielo. I have been been a fan of Scott’s artwork for quite a while. 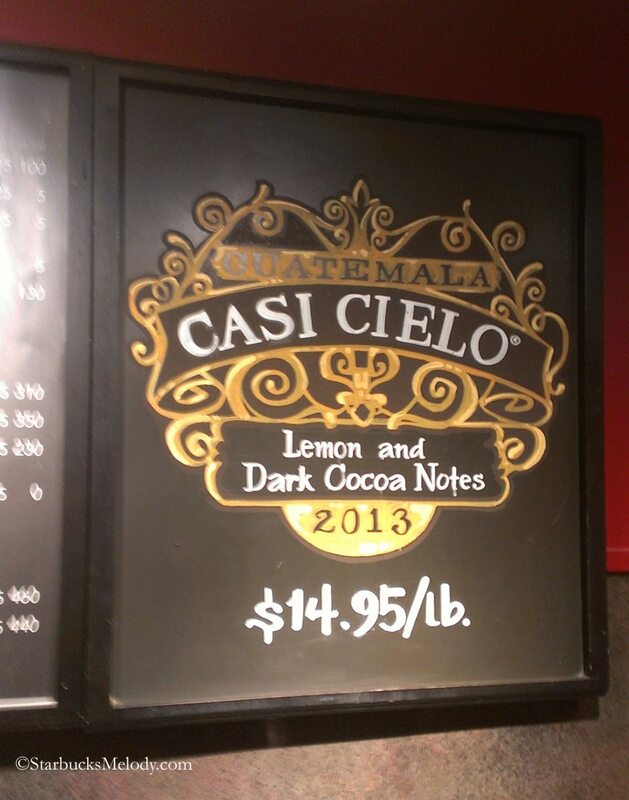 Past chalkboards that I’ve featured by him include a 3 Region Blend sign (first of several photos), Casi Cielo 2013, Christmas Blend 2012 chalkboard sign, Anniversary Blend 2012, Indivisible Blend, and Christmas Blend 2011. I hope you enjoyed this look at Scott’s art too. All of the art in this article was free-hand drawn by Scott, and all of it was on display at some point in Starbucks store #111. My apologies that some of the photos are very low quality. If you ever want to submit Starbucks art to be featured on this site, please do email me. Thanks! Gig Harbor Clover - Reserve Starbucks: 2 Thumbs Up. I have said this before but the chalkboard art needs to come back for sure. Scott’s work is so amazing and proves to me that it adds something to the store. 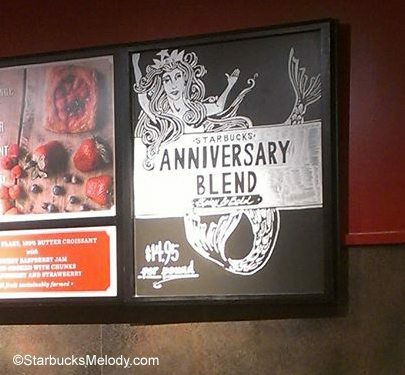 Too bad that SB does not try to get more partners involved in creating these pieces of art. Kudos to Scott! @Launce – Hope you find some nice chalkboards. Many stores only use the cut outs sent by the Starbucks headquarters so it’s actually hard to find current Starbucks art. I have tried my hand at a few signs. I currently have coffee baskets featuring my work and a grounds for garden sign. Since becoming a store manager I find it hard to be able to pen an exceptional sign. I also don’t see myself as truly artistic like some of the partners you have made mentioned to. I’ve loved Scott’s work since the first time you posted pictures of it here, Melody! I look forward to every one of them. @Diele, you should try to send your artwork to Melody for her to show us. I applaud you and any others just for trying. Such a beautiful lost art for sure. I sent in a Caffe Verona sign that I did once that was in a contest for barista art. Haven’t had time to really create anything I would share besides in my store. Haha. This is beautiful artwork and I do think it’s a gift…. By the same token, I think there’s a lot of maybe mediocre ?? chalk art that could be done if the partners had the time or wanted to take the time. I would even like to see that happening! This is really beautiful, tho, for sure. Denise R you are so correct that in most cases partners do not seem to have the passion they once had. Sure, there are partners like Scott all over, but when I look at the partners around here for the most part they are just going through the standard drill. Quality chalkboard art would certainly be nice. And Denise an early happy birthday to you!!! Enjoy whatever you do. @Purple1 – I’ve met lots of passionate partners in Seattle. So many are giving it their all, and think if they were to read things like “in most cases partner do not seem to have passion…” it’s probably a little heartbreaking. I 100% agree with Denise that I love seeing partner-created art even if it is not up to this caliber in this article. But I don’t think you can just throw a pen in the hand of a Starbucks partner and get this level of art, nor do I think that there’s necessarily any particular relationship between artwork and passion. You can be a great artist and not be passionate, and vice versa. Scott just happens to be both – passionate about Starbucks and coffee and an artist. @Melody, I always enjoy your blog posts about Passionate Partners. Too bad they are a vanishing breed. It used to be that in my local Starbucks there were several Outstanding Partners in each store. Sadly as the number of stores has grown, the cultivation and encouragement of passion has disappeared. Dad Cooks your comments would perhaps warrant a new blog post- I guess the question seems to be how do we get that passion back? So that more partners feel that passion! I think the answer should be simple, but in the end it is a bit more complicated. Perhaps a reasonable question might be: what are partners passionate about and how can SBux tap into that? For instance, Scott obviously has a passion for drawing and his store is very wisely putting his passion and talents to work. Every partner has passion, how can the company help them bring that to their work? 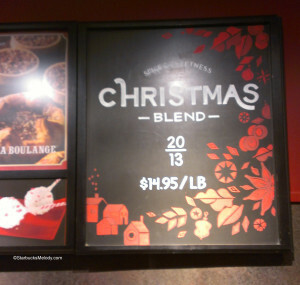 @Purple1 and DadCooks – I think that Starbucks suffers from the same problems as any very large scale retailer. If you’re one to shop regularly at Trader Joe’s or Safeway, not every employee is going to radiate any passion for their brand. What I do think – just my two cents – for those baristas who really believe in the Starbucks Experience (that book is so great) and the Starbucks 5 Ways of Being – this entire conversation is probably a downer, if they should happen to see this. So much of what we hope for in partners – passionate about Starbucks as a brand and passionate about providing a great customer experience – comes down to two things. (1) Great hiring decisions and (2) Giving partners the tools and the freedom (without fear of negative consequences from an SM or DM) to always do the right thing: learn the LATTE method of good customer service. Understand the Starbucks Experience and the 5 ways to deliver it. And never be afraid of using just say yes. (I hear stories of partners who think that if they just say yes, they’ll get in trouble from someone above them) Also, it pretty much never makes sense to get into an agitated stand off with a customer. This will create bad will. A great Starbucks experience is a moving target. There’s always room to improve. Complacency won’t work. But at least in my neck of the woods, the partners do an amazing, amazing job of delivering the Starbucks experience. @Melody, the two point in your last comment, hiring decisions and tools and freedom, are spot on. I have to rush off right now, but I want to build on your points and @purple1’s. And the death of passion is a problem at most companies. Melody, I agree with you about the problems of a large scale retailer. I think one of the biggest disadvantages that Starbucks has is that it is a large scale retailer, with many small stores. So it is quite possible that our passionate people are not quite evenly dispersed, and that their flame could be extinguished by the less passionate people they are surrounded by. Whenever change happens, or we drop something from the menu, there are customers and/or partners that lament the end of an era. 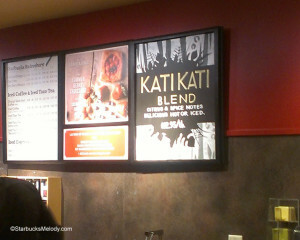 Starbucks has changed soooo many things, sooo many times, none of which have yet led to it’s demise. 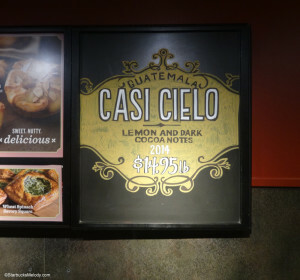 I’d encourage those of you who are worried about the loss of chalkboard art to think about what it symbolized to you – was it the fact that Starbucks was allowing partners to use their creative talents? You can probably find other examples of people using gifts and passions within their store – you just have to look in different places. We have stores that have music nights, children’s story time, chili cook-offs (admittedly, this was a one-off), dog washing days etc. We have a partner that is talented with displays, and helps us create gift baskets within our stores for giveaways, or for times of the year like Mother’s Day, end of the school year etc. where bundles are useful. Rebecca I am taken aback a bit re your comments and my comments re passion and partners. I think it is of value to mention the level of passion amongst partners. I did say that indeed there are partners all over with passion, but there are some that just do not have it anymore. I am a loyal customer of the SB brand and there are many partners I really enjoy interacting with. I do understand what Melody is saying in reference to this discussion. I just feel it is worth noting and not ignoring. @Rebecca and @ purple1: this is a blog. (and I certainly support and appreciate it) However, as far as any partners who might be reading this being ‘offended’…??? I’d guess we have all, certainly all the ‘regulars’ on here, been ‘offended by some comment or other thru the years and topics. As far as a ‘lack of passion’, I have seen a huge increase in that in just the past year….around me. Many stores. (Sbux) There’s been a larger turn-over than I ever remember from yrs and yrs before and yes, they’re too short, tired, burnt-out etc. I am by no means saying this refers to ALL partners I know but most of us can only speak of what we know, or see..I guess. And in the majority of the stores that I see, there is a big decline in partner attitude/passion. If that offends any of them then I’d guess they’re not the ones lacking the passion. If they’re offended, and reading this, they should comment. A little late in posting here, but wanted to say that I really appreciate the chalk art I see in stores. Scott is really good! Look forward to seeing more!